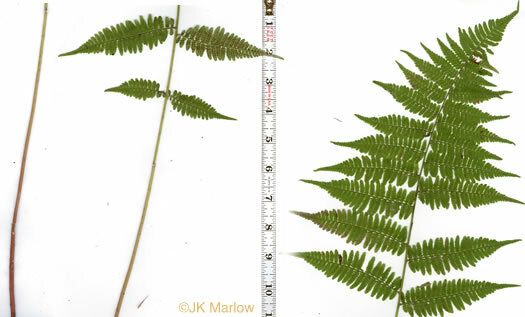 Pinnules deep-cut and toothed, blunt-tipped, per Field Guide to the Ferns and Other Pteridophytes of Georgia. 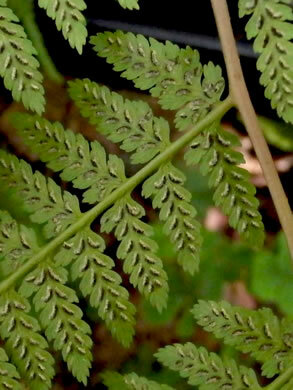 Sori elongate along veins, straight to hooked or curved, per The Ferns and Lycophytes of Texas. 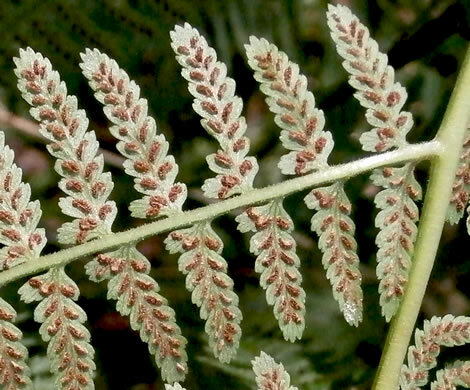 Indusia attached along one side of sori, the attachment as long as the sori, per The Ferns and Lycophytes of Texas. 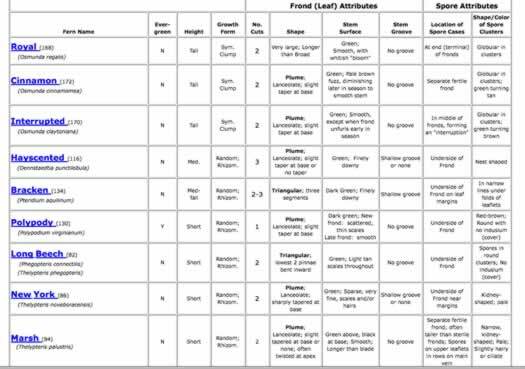 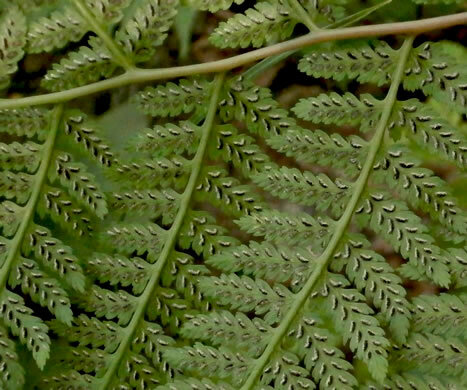 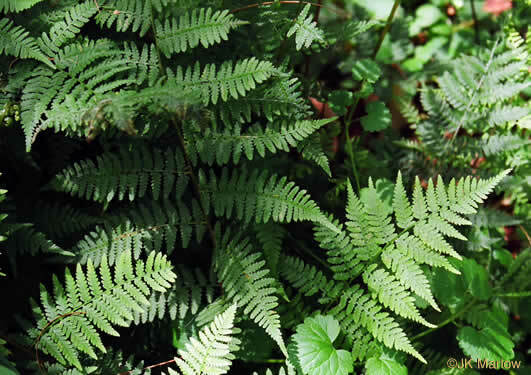 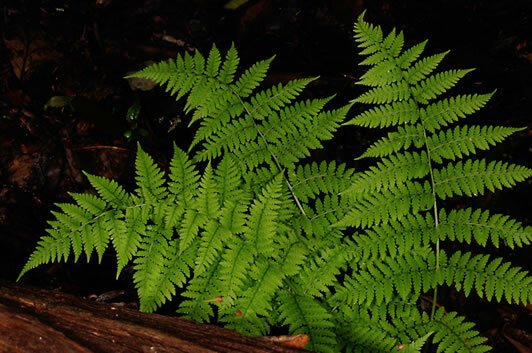 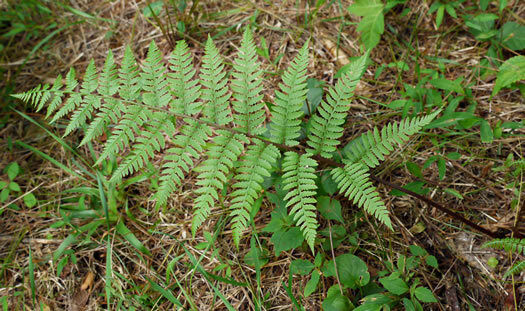 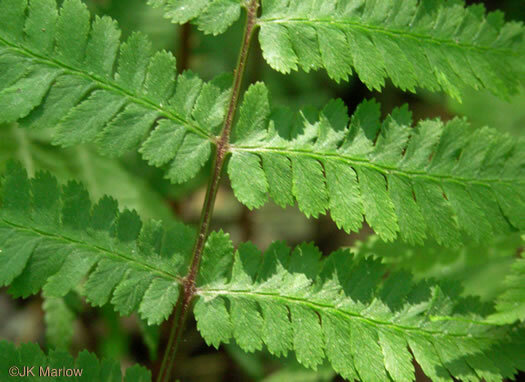 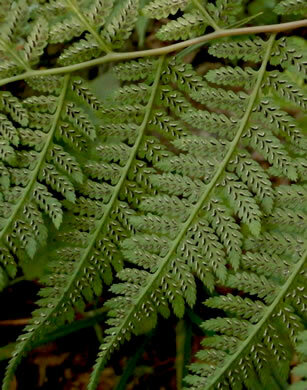 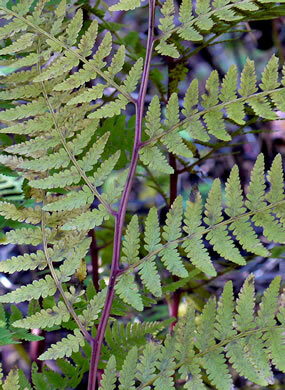 Numerous sori, in two rows midway between midvein and margin, per Field Guide to the Ferns and Other Pteridophytes of Georgia. 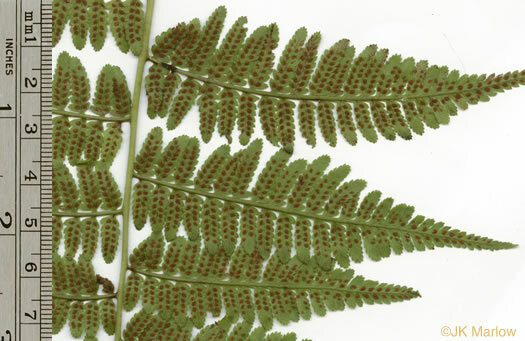 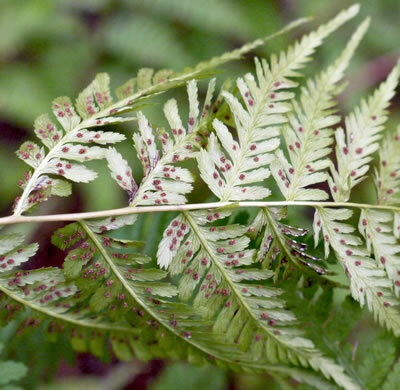 "Delicate ladies with hairy legs" refers to the scales on the stipe, per Peterson Field Guide to Ferns of Northeastern and Central North America.